CD-Edition Capriccio‘s 'Première Portraits' supports young and talented artists by inviting them to release their première debut CD to a worldwide audience. 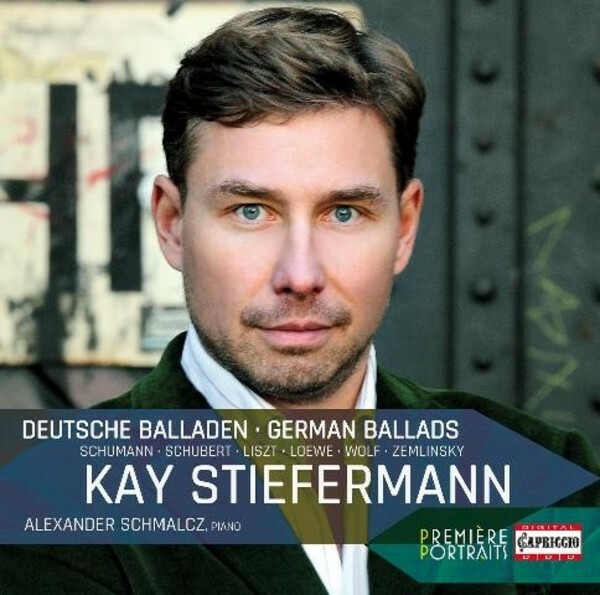 Kay Stiefermann completed his studies with distinction under chamber singer Kurt Moll at the Academy of Music in Cologne. Since his first commitment in the ensemble of the Hamburg State Opera from 1997 to 2001, where his roles included Papageno (Die Zauberflöte), Schaunard (La Bohème) and Danilo (The Merry Widow), he has sung many great roles of the baritone repertoire. In recent years he has increasingly performed roles from the German repertoire, such as Amfortas (Parsifal), Kurwenal (Tristan and Isolde), the Dutchman (The Flying Dutchman), Simone (Eine Florentinische Tragödie), Gyges (King Candaules), Mandryka (Arabella) and Don Pizarro (Fidelio). He has been a guest performer at such prestigious venues as the State Opera in Berlin, the Comic Opera in Berlin, the State Theatre in Hanover, the German Opera on the Rhine, the State Theatre in Darmstadt, the Ruhr Triennale, the Lincoln Centre Festival in New York, the Teatro Municipal in Rio de Janeiro, the Teatro Massimo in Palermo, the Teatro Regio in Turin, the Volksoper in Vienna, the Opera in Graz, the Opéra national du Rhin, the De Nederlandse Opera in Amsterdam and the Bayreuth Festival.